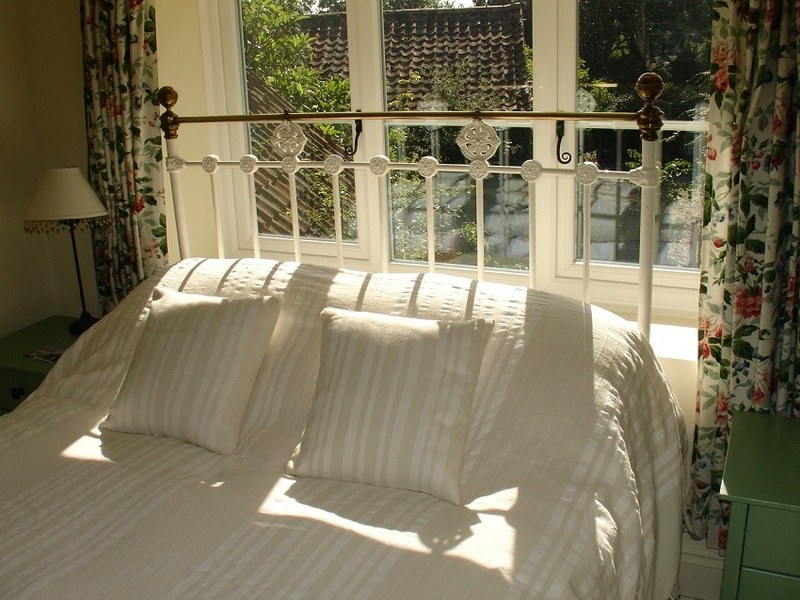 Teddys Retreat is a Romantic and cozy cottage in West Beckham, Norfolk. 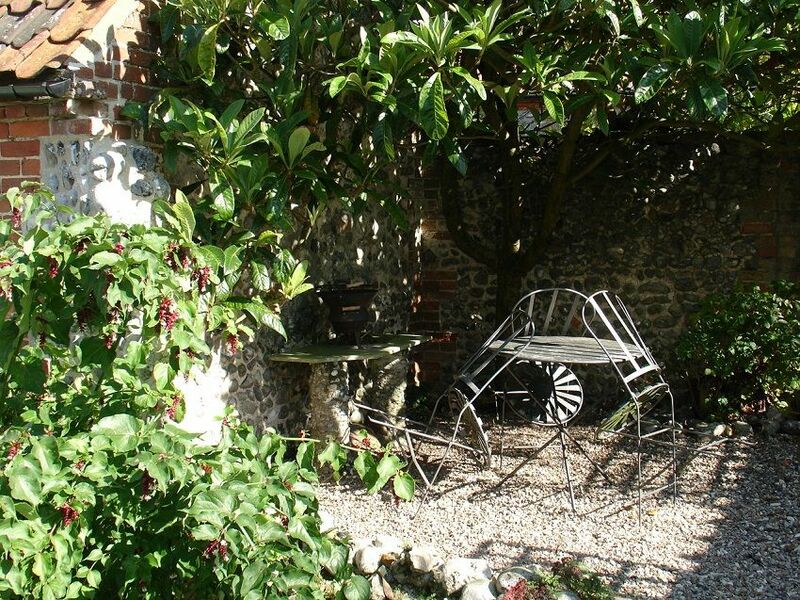 Dog Friendly and has a wealth of features, including an open fire and slipper bath. West Beckham has some lovely dog walks and a good pub within walking distance. I can't think of anything nicer than arriving at our cottage after a walk on the beach, fish and chips in hand, get the fire lit and a glass of wine! Need a truly 'Dog Friendly' holiday break and a lot of relaxation? 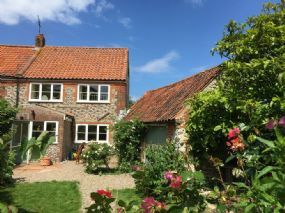 Teddy's Retreat (Lower Farm Cottage), West Beckham, is in North Norfolk with a lovely south facing garden, BBQ area, attached flint barn (games room for children), secure dog friendly garden and adjoining fields for wonderful dog walks, along with village pub across the field, makes your ideal Dog Friendly holiday. 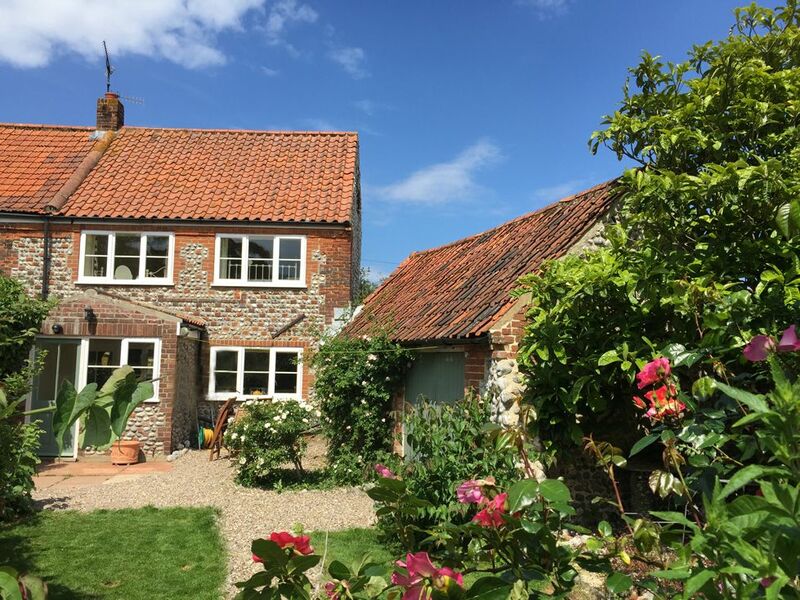 A wealth of original features including an open fire, this cosy relaxing very Dog Friendly cottage set in the Norfolk countryside only 2 miles from the coast at Sheringham, 4 miles from the Georgian town of Holt, 20 mins from Wells Next The Sea and 10 mins to Blakeney, 35 mins to Norwich. 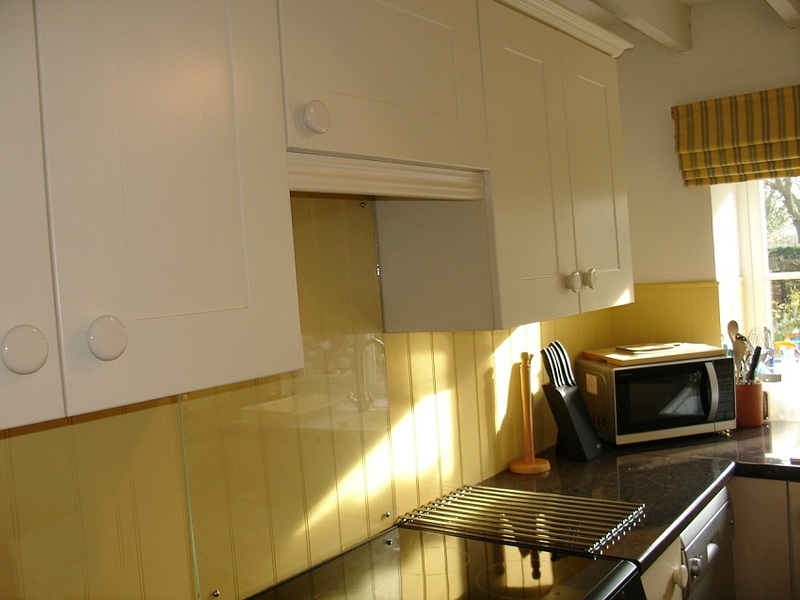 This 2 bed (1 twin, 1 double) cottage is made for relaxation but is also handy for shopping, sightseeing (National Trust, Felbrigg Hall, Bickling Estate) and walking. On Friday, if you have time walk on Holkham beach and blow those cobwebs away, pickup fish and chips, grab a drink and relax. On Saturday, either walk on the beach, relax around the cottage or do a little bit of shopping. You can have a fun family day out on the Poppy Line Steam Train from Sheringham to Holt! The kids will love it. Norwich is perfect for some serious shopping! Sunday is the time to take advantage of the local pub (The Wheatsheaf). 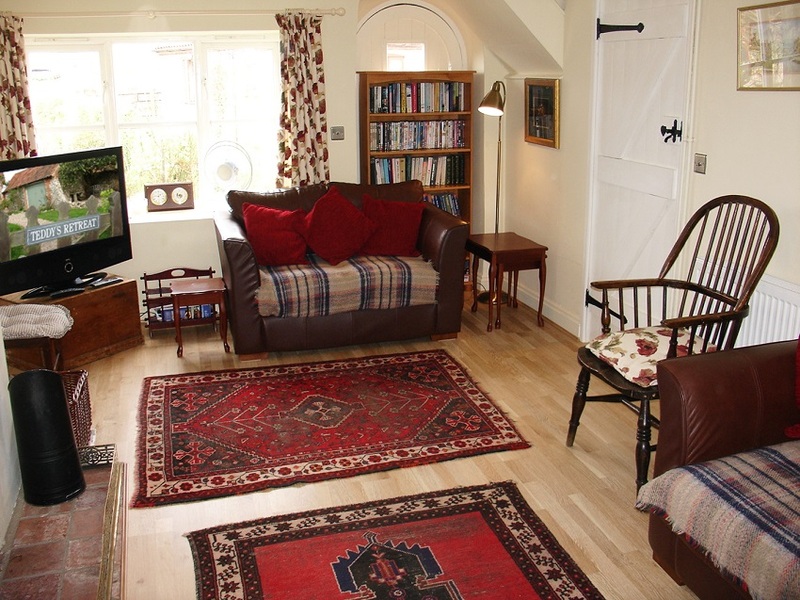 After a morning walk and collecting the paper from Bodham, settle down in front of Sky TV and RELAX. About 12.30pm walk down to the pub, across the fields, for Sunday Lunch and a bottle of something, wander back from the Pub for yet more RELAXATION in front of the TV (and open fire in the Winter). Christmas shopping(! ), as we get nearer to Christmas, lots of special markets take place. Perhaps for the younger ones, in December a steam train 'The Santa Special' runs from Sheringham to Santa Land (a transformed Weybourne station) and it goes without saying the Christmas shop in Holt (open all year) is a must. The Thursford Christmas Spectacular, 12 miles from the cottage, is the biggest and most exciting Christmas show of all time in Britain. Experience the popular blend of Christmas entertainment, with dazzling dancers, beautiful costumes, Christmas songs, carols, including outstanding music and singing from our cast of over one hundred. Dog Friendly - Local Pub is Dog Friendly, hosepipe outside for washing down dogs. Designated beaches nearby for dogs. Walks for dogs on local footpaths and across fields.